Magic Monday: Fly to the USA from €99pp in our Top 5 travel deals! Lisbon skyline: Sao Jorge Castle at dusk. Norwegian's transatlantic routes from Dublin and Shannon are on sale, with flights from €99 each-way from November 1 to March 31 of next year. Book online at norwegian.com/ie/fall-flight-deals before September 17. CityJet has 30pc off flights booked before midnight tonight using the code 'AUTUMNBREAK' on cityjet.com. The sale follows news that Aer Lingus will take over its flights to London City Airport from October. 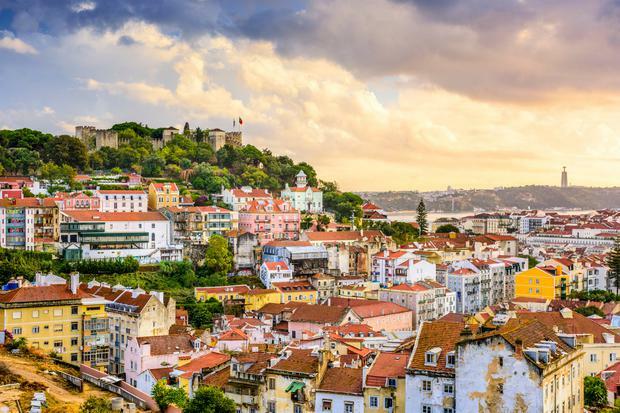 ITAA member Dawson Travel has seven nights in Lisbon (pictured above) from just €236pp, based on two sharing. The deal includes flights from Dublin, and departs November 23 with accommodation at the 3-star VIP Inn Miramonte. 01 663-6536; dawsontravel.ie; itaa.ie/offers. Sunway has several last-minute deals departing September 15 - including 3-star Menorca from €349pp, Majorca from €379pp, and Fuerteventura or Gran Canaria from €399pp. 01 231-1800; sunway.ie. American Sky has savings of up to €150 per family on seven-night stays at the four-star Westgate Palace Resort in Orlando. Book before October 31 for stays before March 31. 01 644-9900; americansky.ie.